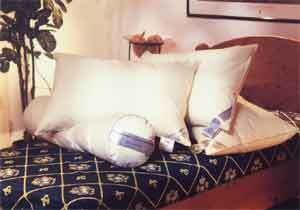 Sonus Pillows - a combination of softness and support. 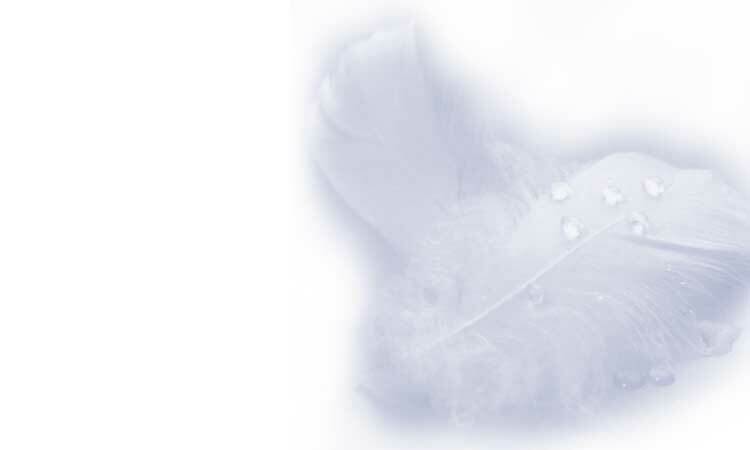 Sonus pillows make use of down as well as feathers in a unique combination that brings out the best qualities in both. 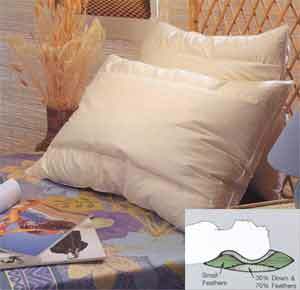 Pillow & Bolster - are made from high quality downproof cotton fabric, lined with matching silk cord and filled with durable top quality feather and down. 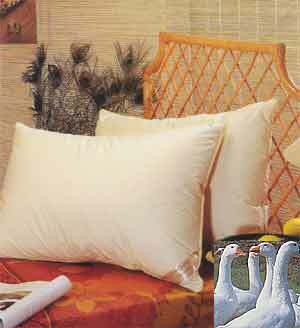 Royal White Pillows - luxuriously soft and light, are stuffed with the most silky and resilent natural fillings, White Goose down. 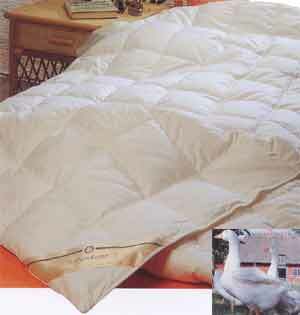 Royal White Quilt - the ultimate choice for those who would like to use the lightest quilt and appreciate the natural way to a sound sleep.